Our concept of marriage today is a total contrast from what it was a hundred years ago. 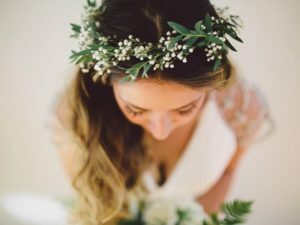 These days, far from committing themselves to a lifetime of domesticity and financial dependence, modern brides are savvy and financially secure and in the same way, how we host and celebrate weddings has naturally evolved and we are now presented with more opportunities to blend tradition and personalise the day than ever before. Styles and trends come and go … traditions are passed down the generations and respected more over time however there are a number of ways you can still honour the time bound traditions of a formal wedding ceremony whilst still making it your own. Let’s take a look at some of the ways brides can bring a centuries-old occasion bang up to date! 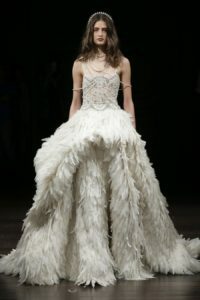 Long gone are the days when the bride’s only option was a long, white gown. 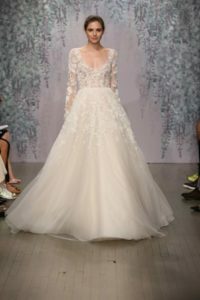 For some brides, finding the ultimate white or ivory full length wedding dress is a dream come true but for those looking for a more contemporary twist, many designers now specialise in more minimal or more colourful options as well – make it colourful, make it casual – as long as you feel fabulous in it! 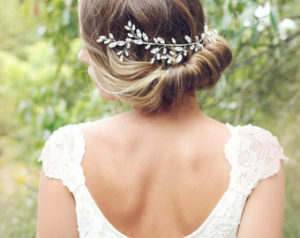 Similarly, for some brides, finding the perfect long white veil to perfectly off set her dream dress is a vital part of her look on the day – however, for those who aren’t so sure it’s their thing, there are plenty of alternatives such as a chic headband, flower crown or sparkly hair accessory. Choosing a colour and a style to keep all your girl gang happy is not always an easy task. 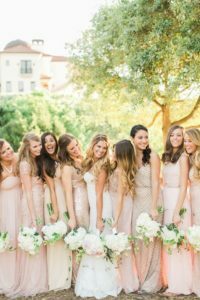 These days, far from being obliged to dress your BFFs identically, you can let their individual personalities shine by having each one pick a dress that suits her own taste and figure. The trick to pulling off the mismatched look is to have one cohesive element, such as the same fabric, colour or length. Or let them personalize their look with accessories, like funky jewellery and boleros or different shoes.